I making this thread as accompanying to my AWumunda in Future wars. I rarely paint fantasy miniatures but It happens from time to time and I will dump here all thing fantasy I do. What next ? Some more Lotr stuff or Khorne warband for Shadespire.. Not sure yet. Nice work, especially on the undead crew. Great painting all around, especially on the LoTR Orcs (probably because I am partial to the models ). 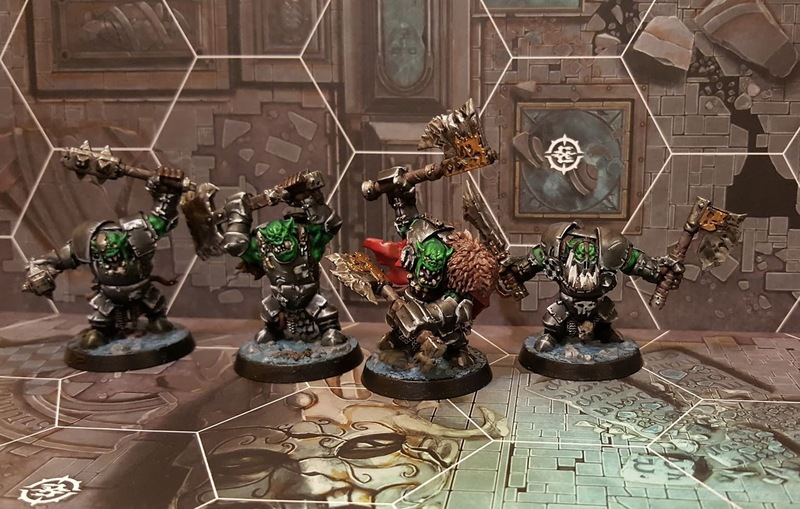 Small update on the Orktober Orks. 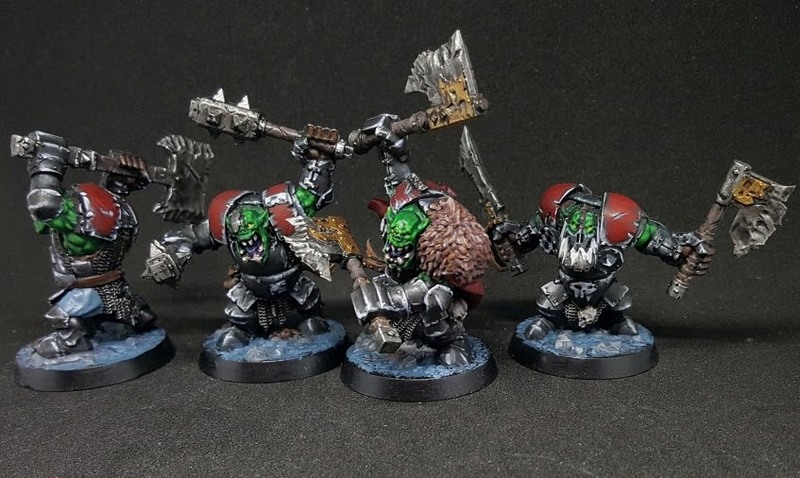 Ive decided they are to monochromatic (I should change their skin color to better match black which would be difficult so I decided to just add some red to make green more fitting. And in their own post. 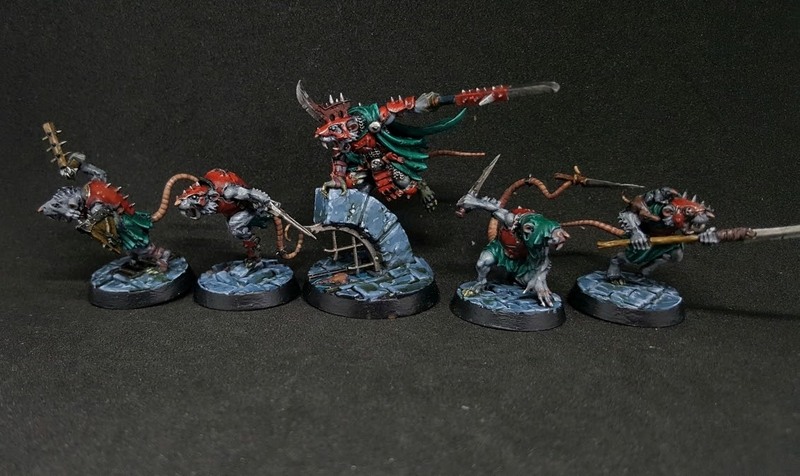 Swarm of Skritch Spiteclaw. 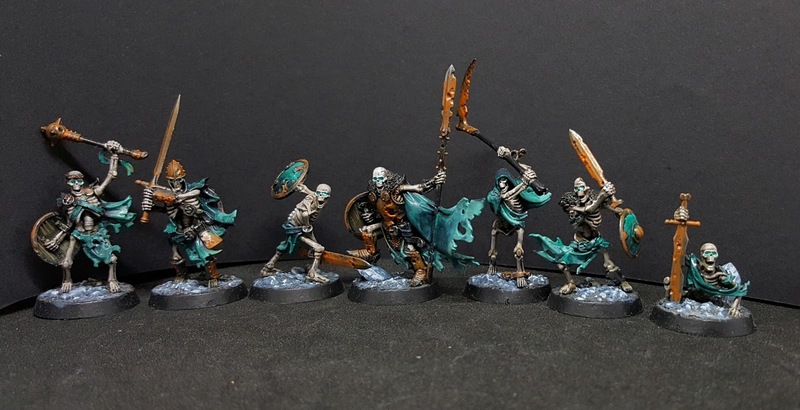 My favorite band of Shadespire (Underworlds) miniatures, which coincidentally I have most fun playing AND winn more often than loose. Ive got Middle Earth Dwarves from GW to built Battle company with them. I will add to the shields when I will come up with something worth adding. Thanks. Those are very cool miniatures that are surprisingly paint-friendly. 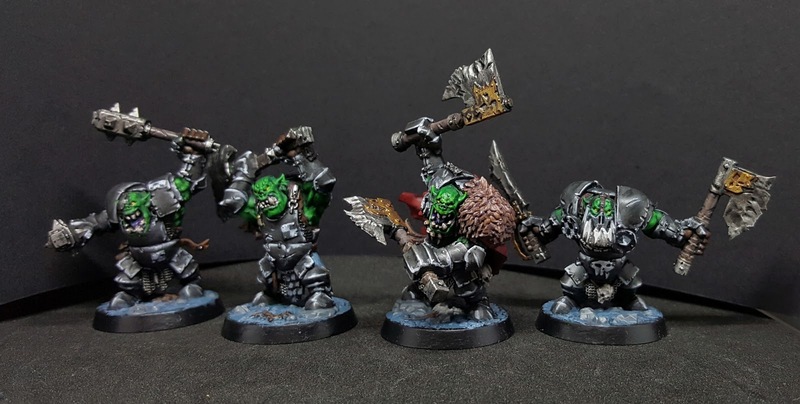 Much more fun to paint than AoS stuff not to mention traditional Warhammer or abysmal stuff i fail to have fun painting at all like Warmachine.. Interesting you enjoyed painting the LoTR stuff as I always thought it was a bit meh compared to the 1990s cool metal Warhammer stuff. But you’ve done a fantastic job on everything here. And you’re prolific. 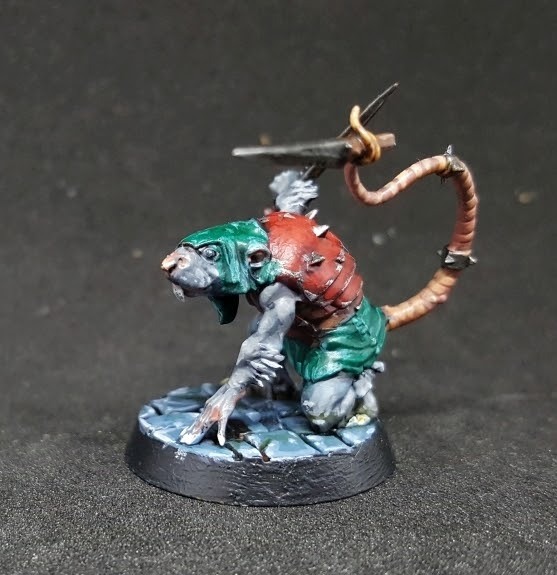 Really liked the skaven and undead for Shadespire. I need to get round to painting mine! I haven't seen any till this year to be honest. And without fond memories I wasn't very impressed by those old models. And I like aesthetics of most of the models in GW line. When I seen them foirst time - Ive seen only plastic goblins and last alliance. I haven't had much pleasure panting them. 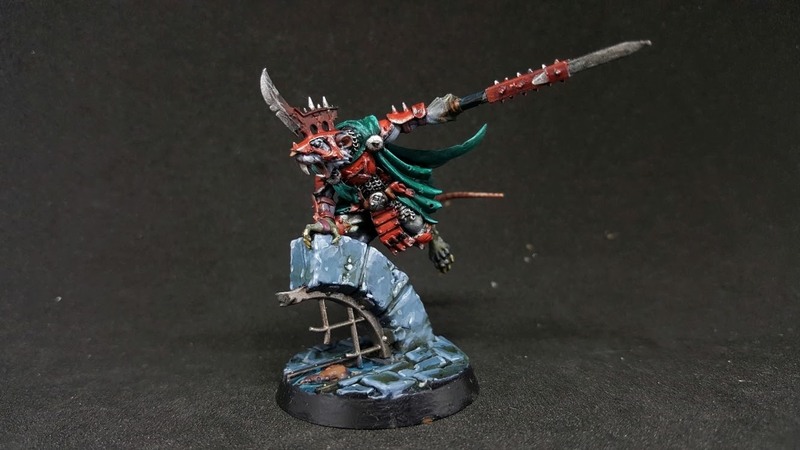 Then I stumbled on James Wappel blog and his stunning Easterlings and Elves I tried to paint some old Last alliance Elves and had a lot of fun. They are not Wappel level but his technique helped me to getting use to them. And I started to slowly buying second hand stuff I could acquire cheaply. Then new edition went off with great starter set and now I own it and Dwarves box I bought to give half to my friend in hopes of catching his intrest in trying the game (and kept second half for myself as they are really smal and simple battle company to built). Surprisingly to me dwarves were really fun to paint. Perfect amount of detail and space for some shading. Troll was really fun too. So far I have less fun painting Morannon orcs. Models are cool but they have too much armor for my taste. But with coloring I still have fun painting. And this is most important to me.